Note: This post originally appeared as a Technomic white paper. Download .pdf file. In Japan’s busy city centers, the line for McDonald’s queues out the door. The Sphinx sees KFC as it looks across the desert. Restaurant chains are a prime export for the United States, as companies see an escape from the crowded domestic market. But at the same time U.S.-based chains look to global markets for growth, many chains from outside our borders are finding ample opportunity to expand their concepts and compete in our homeland. U.S. operators ignore these international imports at their peril. In their effort to stay ahead of the competition, operators must identify and monitor their competition—both domestic chains and global concepts—examining performance data, menu and marketing updates, and expansion plans. Over the years, as Technomic has been building its intelligence on international markets—now including Canada, the U.K., Brazil, France, Germany, Italy, Spain, Australia and Mexico—and the restaurant brands that lead those markets, it continues to uncover concepts that are looking at the United States for expansion opportunities. Chains such as Tim Hortons, Le Pain Quotidian and, more recently, Red Mango have led the way for a growing list of contenders eyeing the U.S.
What they see when they examine the U.S. market is a consumer who spends almost half their food budget at restaurants, and one who is eager to try new ethnic flavors. U.S. consumers are also ethnically diverse themselves, and many are well-traveled and already familiar with global foodservice brands. Overseas operators also see large cities and small, some of which may look a lot like the markets in which they successfully operate at home. The real-estate experts in this group will spot the many good locations left by domestic operators and other businesses that couldn’t make it through the economic downturn and slow recovery. There are certainly challenges to overcome to opening in a new country, especially one as saturated as the United States. Beyond the usual complexities of offering a compelling point of differentiation at what consumers feel is the correct price point and keeping up with their busy and demanding lives, an overseas operator is at a disadvantage simply by being located outside the country. A new country’s supply chain methods, legal and governmental regulations, and human resource issues have to be understood and addressed. This means the operator must find partners, franchisors or trusted employees to handle Stateside business and operations. But there are also opportunities for concepts that feed consumer needs, stay ahead of food and dining trends and manage unit economics. Those with a strong brand and niche, well-defined menu and value proposition have a chance of capturing the attention—and eating-out dollars—of American consumers. Following are profiles of 10 concepts in varying stages of expansion within the United States. We didn’t select them based on size or seniority. They are merely a diverse group of concepts from around the world that offer something different that gives them the potential to thrive in America. Some have achieved success through the authentic cuisine of their homeland, but others are making leaps with models that they believe are primed for success with U.S. consumers. What they have in common is attention to consumer trends, such as better-for-you cuisine, a convenient and flexible format, or focus on authentic or innovative flavors. Nando’s Peri-Peri, formed in Johannesburg, South Africa, in 1987, is a quick-casual chain specializing in peri-peri chicken, a Portuguese-style preparation of poultry basted with a spicy, vinegary sauce that gets its heat from the African Bird’s Eye chile. Portuguese beers and wines provide an authentic accompaniment. Units, averaging 3,800 square feet, operate primarily in high-visibility sites that often have multiple levels. Nando’s restaurants are uniquely constructed and designed, often reflecting the country in which they operate. Interior design elements typically include natural materials such as marble and antique oak, bold African artwork and large potted plants. Nando’s has entered numerous international markets and made its U.S. debut in Washington, DC, in 2008. Why it’s worth watching: Nando’s pleases flavor-seekers and has strong global brand awareness, operating in three dozen countries on five continents. Gyu-Kaku, founded in 1995 in Tokyo, is a chain of contemporary casual-dining restaurants offering Japanese-style barbecue. It specializes in yakiniku (Japanese for “grilled meat”), in which guests cook their own marinated bite-sized meats, seafood and vegetables over individual smokeless braziers. Averaging 3,500–4,000 square feet, units are located in urban and suburban areas with heavy foot traffic such as shopping malls and lifestyle centers. Interiors are modern and characterized by Japanese-influenced artwork, dark woods, exposed brick and sheer fabrics. Large dark tables provide communal and private seating. Six years after its Tokyo debut, the chain entered the U.S. market with the 2001 opening of a West Los Angeles location. Why it’s worth watching: Japanese barbecue is underrepresented in the U.S., and Gyu-Kaku gives it a distinct spin with its cook-it-yourself platform and social element. Little Sheep Mongolian Hot Pot, established in Baotou, Inner Mongolia, China, in 1999, is a casual-dining restaurant chain with an interactive, cook-it-yourself Mongolian-food focus. 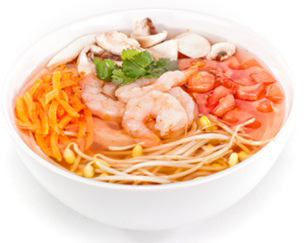 Customers dip meat, seafood and vegetarian dishes into hot broth at their table to cook them. Signature items range from lamb shoulder, to shrimp meatballs, to mussels and clams. Units occupy at least 4,000 square feet and feature lustrous and contemporary décor with Mongolian murals, calligraphy and bamboo. After launching in Baotou, the chain expanded further into China as well as Taiwan, Japan and Canada. The first U.S. Little Sheep restaurant opened in 2006 in Union City, CA. Why it’s worth watching: Yum! Brands Inc. owns a portion of the chain and is looking to acquire a majority stake in the company via a $573 million takeover bid. Guzman Y Gomez, launched in Australia in 2006, is a fast-casual Mexican taqueria that prides itself on being one of the first concepts to bring authentic Mexican food and Latin culture to Australia. The chain celebrates all things Latin: the region’s music, art, personality and especially the food. It specializes in burritos, mini burritos, tacos and bowls prepared with a choice of meat or vegetables and various toppings. It operates both small walk-up operations in food courts and lifestyle centers and larger units, which have TVs, foosball tables and billiards, and a bold décor heavily incorporating the brand’s yellow-and-black color scheme. Units also typically feature exposed brick, framed black-and-white photos and potted cactus plants. Since its founding, Guzman Y Gomez has expanded across eastern Australia. Why it’s worth watching: Guzman Y Gomez has carved out a niche in Australia as one of the only chains offering authentic, made-to-order Mexican fare, and aims to compete against fast-casual Mexican leaders. Pie Face, started in 2003 by an American living in Sydney, is a quick-service bakery-café chain known for its freshly baked sweet and savory pies marked with smiley-face designs on the crust. Popular varieties include chunky steak and Thai chicken curry. Stores are counter-service operations that occupy as little as 160 square feet. Whenever possible, they stay open 24 hours a day. Rows of pies and other pastries are showcased in glass cases, and red and black menu boards list the brand’s offerings. After getting under way in Sydney, the chain opened stores throughout Australia and began franchising in 2009. In early 2012, the chain made its U.S. debut, opening a unit in New York City—the first of many planned for the Big Apple. Why it’s worth watching: Pie Face is bringing Aussie-style handheld, savory meat pies to American consumers, who may be open to this portable and inexpensive meal option. PAUL, which traces its roots all the way back to 1889 in Croix, France, is a chain of fast-casual French-style bakery-cafés. The concept is designed to evoke a traditional French bakery, where patrons grab a quick bite to go or sit and relax with friends. Units, typically inline shops located along the high street, feature rustic French décor with the look and feel of a village bakery. Design elements include signature black storefronts, exposed interior brickwork and sculptured woodwork. In its present-day form, PAUL opened in 1963 in France. It eventually expanded into a number of countries before it opened its first U.S. unit in Washington, D.C., in May 2011. Why it’s worth watching: The bakery-café segment continues to perform well, and PAUL differentiates itself with French-inspired décor and traditional French baguettes. Pret A Manger, founded in London in 1986, is a grab-and-go sandwich concept emphasizing convenience and speed. Pret A Manger, French for “ready to eat,” specializes in prepackaged sandwiches, soups, salads, sushi and breakfast pastries. Food is made daily in-house with natural ingredients and then stocked in stainless-steel, temperature-controlled cases. Any food that is not sold by the end of the day is donated to local charities. Restaurants seat 20–30 customers, measure about 1,500 square feet and feature a bright, modern décor. Units reflect and preserve their European roots with staff members from Europe and from each unit’s host country. Pret A Manger expanded abroad with the 2000 opening of a unit in the Wall Street area of New York City. Why it’s worth watching: The chain is in the midst of developing what it calls “Pret Local,” an interpretation of the original concept that offers more of a fast-casual positioning in a suburban setting. YO! Sushi, which debuted in London in 1997, is a conveyor-belt sushi concept (known as “kaiten” in Japan) that aims to make Japanese food accessible and affordable. Freshly made sashimi, sushi maki rolls and nigiri circulate on a moving conveyor belt, and customers grab their dishes right off the belt. They may also order off the menu. Food is served on color-coded plates, each of which corresponds to a different price point; a staff member counts the plates to tally the bill. Store locations range from urban business districts to high-end department stores and airports. YO! Sushi made its U.S. debut in mid-2012 in Washington, D.C.’s Union Station and is planning 30 additional U.S. locations. Why it’s worth watching: YO! Sushi’s interactive platform, combined with its exhibition sushi preparation, make for a unique and fun dining experience. Freshii, founded in Toronto in 2005, is a healthy fast-casual concept that offers salads, wraps, bowls and burritos in signature as well as build-your-own varieties. The concept also stands out with eco-friendly initiatives in packaging and paperless marketing. Averaging 150–1,500 square feet, units are in high-traffic urban areas and feature contemporary décor, shelves lined with packaged snacks, and grab-and-go cases stocked with bottled beverages. Rapid expansion began in 2009 with a master franchise deal for the Chicago market. Eventually the chain expanded across Canada and the U.S. before entering Europe and the Middle East. Long-term expansion plans call for 1,000 units by 2015. Why it’s worth watching: Freshii fills a dual niche within the rapidly growing fast-casual segment: an eco-conscious chain specializing in healthy, fresh fare. Giraffas, established in Brazil in 1981, is a limited-service chain specializing in Brazilian favorites. The family-owned chain’s signature item is a create-your-own burger with a choice of filet mignon, chicken, ground beef or meat substitute, and a selection of sauce and toppings. The concept goes beyond burger-joint fare to offer traditional Brazilian steak and meat entrées at moderate price points. Units vary in size from 750–3,000 square feet and in location from kiosk to freestanding restaurant. Interiors are contemporary and evoke the feeling of an African safari with tufted rugs and giraffe murals. In mid-2011, Giraffas opened its first international unit, a U.S. store in North Miami. Why it’s worth watching: Giraffas, already well-established with some 350 stores in its native Brazil, has firmly set its sights on U.S. expansion, calling for additional locations to open over the coming months. Like many industries, restaurant operators have become global in nature. Just as American chains have found fertile ground around the world in which to grow, internationally based chains are looking at the United States as a market to expand their brand and further develop a platform for growth. U.S. operators should view these new entries not as “flash in the pan” concepts but as true contenders challenging them for traffic and dollars. Technomic currently tracks major chain operators and menu trends in 10 countries including the U.S., Canada, Mexico, U.K., France, Germany, Spain, Italy, Brazil and Australia. Market intelligence for these countries is available through our industry leading online Digital Resource Library and MenuMonitor. This entry was posted on Friday, September 7th, 2012 at 9:00 am and is filed under BRIC, Canada, Darren Tristano, Expansion Strategy, Foodservice Industry, Growth, UK. You can follow any responses to this entry through the RSS 2.0 feed. You can leave a response, or trackback from your own site.